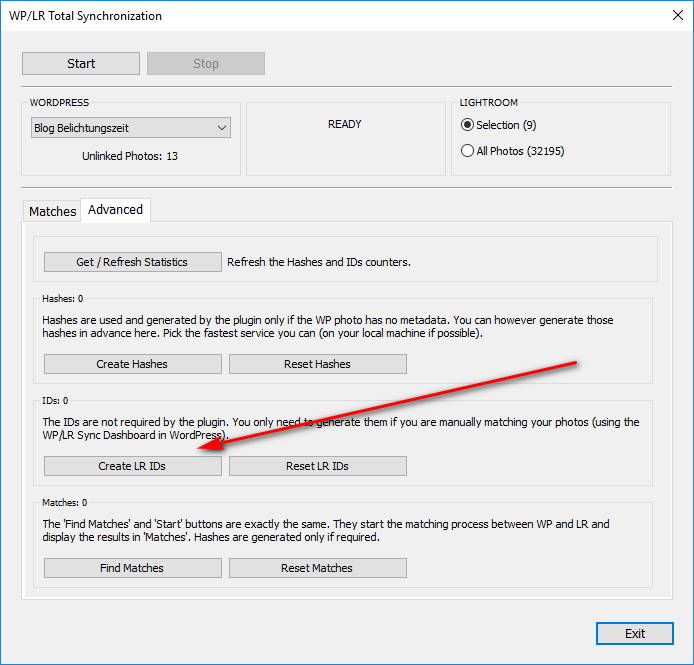 The LR/WP Sync Plugin synchronizes your images from within Lightroom with your media content on a WordPress installation. 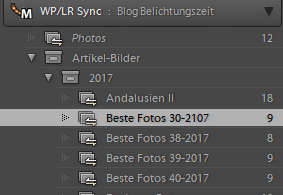 Since the beginning of 2015 i use the Lightroom plugin from alloyphoto to upload my images to my picture blog and the installed NextGen gallery. I checked on alternatives for a longer period but now with the release of Lightroom Classic during the Adobe Max conference i decided not to use this plugin any more because first of all every change in a major release will result in another license fee of 15 $ for the plugin. But the license fee wasn’t the main reason but there is a big disadvantage to the NextGen gallery. I decided to use LR/WP Plugin, which has to a license too of 20,– €/year. There is no free trial version of this plugin but the author offers a money back without the need to give any reason. The plugin installs a publishing service and you can organize your images in a regular collection or as smart collections, just like i did with the NextGen and the flickr plugin. 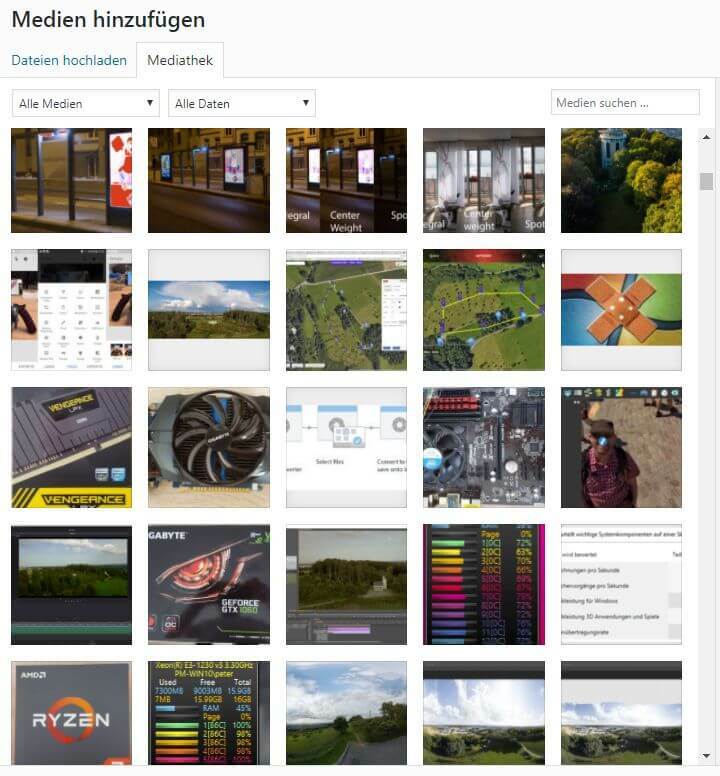 Either you move the images per drag and drop to the publishing service or you determnie the images for uploading by keywords for the smart collections. And of course you can use output filters like Metadata wrangler or mogrify plugins. In the setup for the plugin you shouldn’t use the admin user of your WordPress installation of course, take a user with reduced rights. I usually publish images after a vacation or a photosession in a blog post with a couple of images. Some of these images are worth it to place them in one of the usual galleries, like landscape,architcture, macro and so on. And sometimes i make an extra blog post to inform my readers about new images being uploaded. This means, that one image is contained in up to 3 collections. Looking at this from a Lightroom point of view there is no problem, but in the NextGen gallery or in the plugin i didn’t find an option to reuse the same image from an article lets say in the landscape gallery. The image was uploaded as many times as contained in galleries. Since the mediathek generates depending on your setting at least 3 images in different resolutions the means a lot of wasted storage space, not talking about backups. 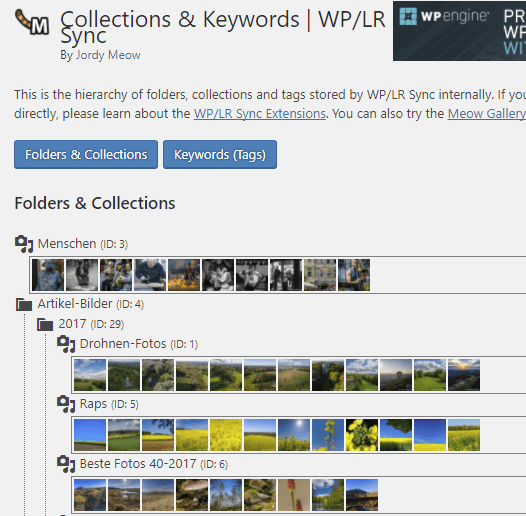 And there is the big difference, with the LR/WP Sync plugin an image is uploaded to your wordpress mediathek only once, nevertheless in how many collections the image is included in. If i decide to delete a certain image lets say from the landscape gallery i can do this without interferring other blog posts. Maybe you already uploaded some images to your WordPress installation and now you decide to manage them from within Lightroom. That’s no problem just go to Catalog->Modul options and you can link already uploaded images with the image from xyour Lightroom catalog. I don’t use the Start button i rather prefer Matches because with the start button also non matching couples are found. With the Advanced option i generate ID’s for the selected images and use WordPress LR/WP Sync Dashboard to manually link the images. It’s a little bit more troublesome, but positve. The plugin or the counterpart on the WordPress installationhas 2 disadvantages. First of all the dashboard for the LR/WP sync plugin is visible for the admin user only. 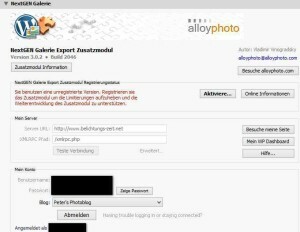 Using a shortcode for a certain gallery i have to log in as admin user to find out the id of the gallery. This disadvantage is reduced if you activate the post-type in the extensions, which generates an article or page for every collection uploaded to your blog. The uploaded images are stored in the media storage of your WordPress installation but in contrast to the NextGen gallery they are not optimized by plugin like WPSmush or TinyPNG if installed. 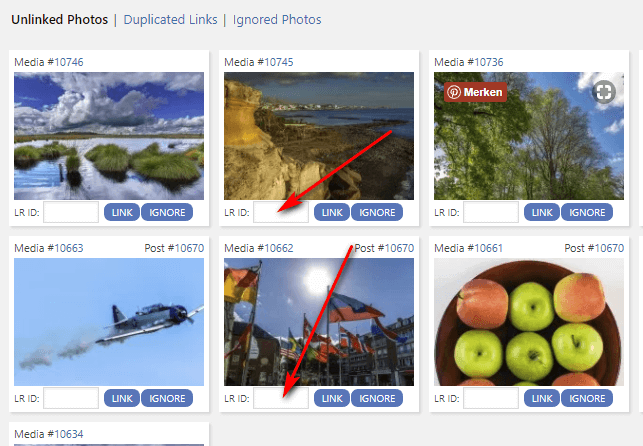 Optimisation of the uploaded images must be done manually in the media storage. The LR/WP Sync plugin is well done, even though there are 2 implementation details which could be improved. But the most important feature is LR/WP sync doesn’t generate any doublets. do you use such a plugin or do you upload your images manually?